Dozens of iconic “palenquera” fruit sellers took to the streets in Cartagena on Tuesday, claiming that the city’s police are denying their right to work. The protest of the folkloric street vendors is the latest escalation of what began as a curious incident in Bogota where a cop fined a man for $260 for buying a pastry from an informal street vendor. According to Angelina Cassiani, her merchandise was decommissioned last week after selling fruit to locals and tourists on the city’s Bolivar Square for more than 20 years. They took the table, two basins and a fridge, that is to say all my work tools. They only gave me back the fruit, and only after begging. The palenqueras who have been selling tropical fruit in Cartagena’s tourism district since memory believe that the police’s creative interpretation of the law threatens their right to work, Cassiani told newspaper El Tiempo. We demand respect and demand that this police code is reconsidered because we cannot be treated as if we were just any vendor, we remind the police that the palenqueras are cultural heritage along with this entire city. What happened was a total abuse of authority and ignorance of the history of this city. 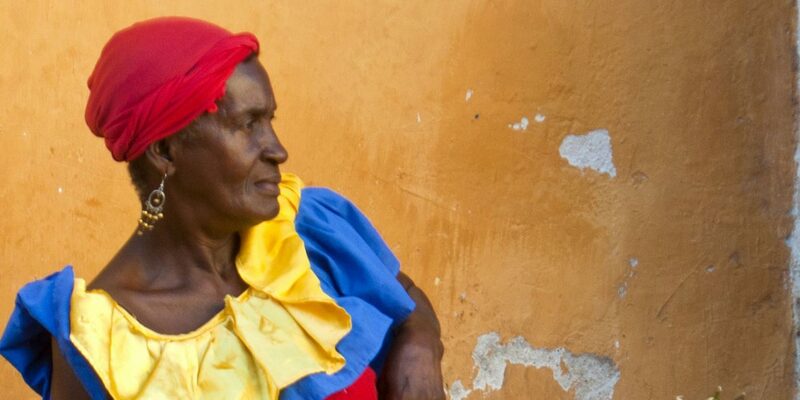 New guidelines in Cartagena allow some 35 women of the palenquera ethnic minority to sell fruit, as long as they keep walking, but the fruit sellers believe this violates their constitutional rights to exercise ancestral activities. Remember that the constitution protects us. Indians and Afro communities today are recognized by the nation and receive special treatment, now we demand protection for the palenqueras that we worked more than 20 years ago in the Historic Center.